Violin gesture analysis is an active area of study in many research groups. 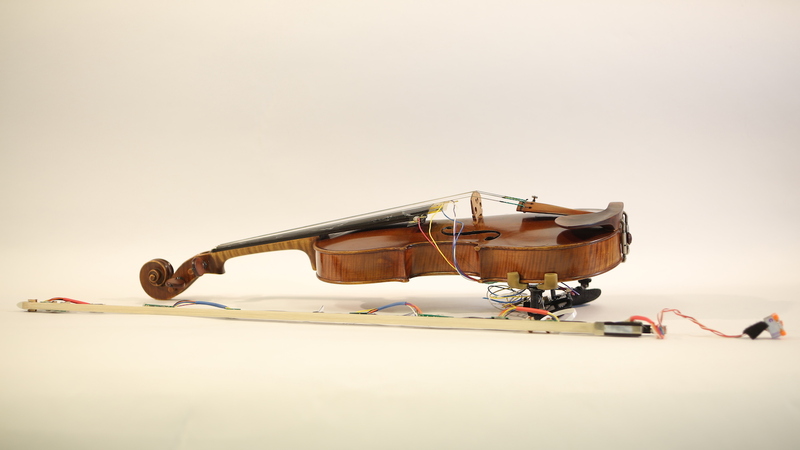 This project aims to capture the nuances of violin performance through a sensor-augmented instrument, with particular emphases on low-latency, economical, portable and non-intrusive setup and applications to new forms of expression in live performance. Left-hand finger locations on each string are measured by resistive material on the fingerboard. A new method of bow position and pressure tracking has been developed based on low-cost optical reflectance sensors. One eventual aim is to produce a new expressive interface using expert violin technique to control other sound sources. L. Pardue, C. Harte and A. McPherson. 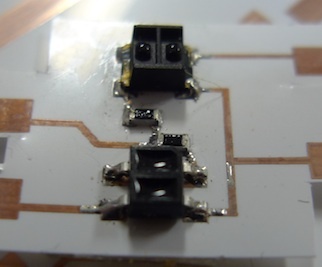 A low-cost real-time tracking system for violin. Journal of New Music Research, 2015. L. Pardue, D. Nian, C. Harte and A. McPherson. Low-latency audio pitch tracking: a multi-modal sensor-assisted approach. Proc. New Interfaces for Musical Expression, London, UK, 2014. L. Pardue and A. McPherson. 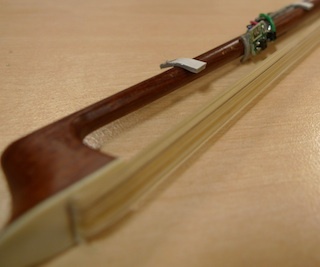 Near-field optical reflectance sensing for violin bow tracking. Proc. New Interfaces for Musical Expression, Seoul, South Korea, 2013.